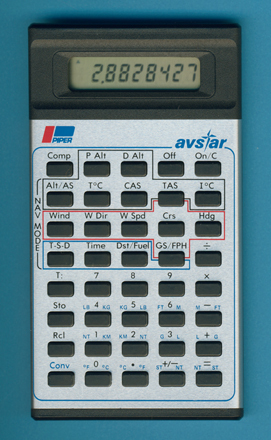 The development of this product was done by Jeppesen Sanderson, view the original product here. Flying more than a Piper? View the USMC HARRIER calculator! © Joerg Woerner, October 28, 2012. No reprints without written permission.